Photo: Suspension bridge in Muang Khua. Muang Khua is located on the banks of the Nam Ou, at the confluence with the smaller Nam Phak river. The little town is a transit point, with options to go east (Vietnam), south (Muang Ngoi, Nong Kiaow), southwest (Muang La, Udomxai) or north (Ban Samphanh for the boat to Hat Sa and Phongsali). For those travelling by boat, it’s the midway point and necessary layover on the scenic two-day journey between Hat Sa and Nong Kiaow. For those heading to Dien Bien Phu, it’s the last major bump of civilisation before the border 66 km away. The town was once a beautiful, peaceful spot and the necessary layover was a welcome pause—some relaxing downtime by the river was a good argument for lingering. A picturesque wooden suspension bridge spans the Nam Phak, in dry season a lazy waterway lined with palms and vegetable gardens. The dynamics have changed and for most travellers, the town is firmly a one night affair. It’s no longer absolutely necessary to overnight in Muang Khua now that several buses pass through on the way to the border, up until around 14:00. It’s also hard to ignore the number of Chinese and Vietnamese businesses. Another reason is that the town has largely turned its back on its most attractive feature, the rivers. There’s hardly any waterfront accommodation left. The town’s focus is on the highway which passes through and forms the core. As you can imagine, this has as much charm as a motorway service station and the people can be cold. Muang Khua could be one of the great riverside towns of Laos but it hasn’t made itself a destination in its own right. However, it is not a bad place to break up the journey and stretch the legs. For those who are passing through and not in a hurry, there are trekking opportunities and like everywhere in Phongsali Province, investing more time gets you further “out there”. The province is rich with ethnic diversity, only a trickle of travellers use Muang Khua as their portal to trekking, the area is remote and villages remain hardscrabble and hard to reach. One thing’s for sure: you don’t have to worry about mass tourism. In Manotham Guesthouse we also found a notice posted by local guide Mr Khamman offering one to four day treks to Akha, Khmu and Tai Dam villages. Ask the owners of Manotham or call him at (020) 9932 0743 or (020) 2202 0546. If lucky, your layover will coincide with the district’s market day. Find yourself in Muang Khua the day before and it is well worth incorporating it into a trek or independently making the trip to Paknamnoy to see tribes such as the Akha Yaer, Akha Pouli, Akha Pala in their traditional dress buying and trading. The Tourism Office posts a calendar of dates. There’s usually three market days a month running between 09:00 and 12:00. Some may find the town to be boring and unfriendly (and with the borders so close, too Viet and Chinese). That said, head out to the mountains and you may discover a side many foreigners have not seen. It can be a great place to explore if you want to step off the well-travelled road (and river) without having to go too far off track. Highway 2E forms the main artery of the town. The centre, which has a BCEL bank and ATM, is a junction between 2E and a dead-end road which is where you’ll find the Tourism Information Office, most backpacker friendly accommodation, the market and the road leading down to the boat landing. This road to the boat landing has a few restaurants and there’s a handful of Vietnamese eateries and evening barbecue stands at the junction. A path leading south of the junction takes you to the pedestrian suspension bridge across the Namphak River where there’s a couple of local beer bars with terraces looking out on the water. The Sop Hun/Tay Trang International Border between Laos-Vietnam is open to international travellers. 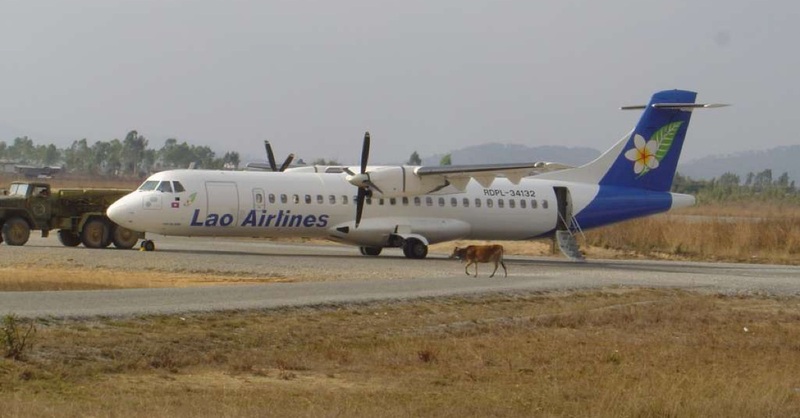 Going from Laos to Dien Bien Phu: If you are a national that requires a visa for Vietnam (you are not on the visa exemption list), travellers must already have their Vietnam visa as you cannot get one on arrival at this port of entry. As of 2018, this border is not a land port that allows foreigners to enter or exit Vietnam by E-Visa; the closest one is south at Nam Can via Vinh. Consult the up to date list on the government website. In northern Laos, a popular place for travellers obtain a Vietnam visa is at the Vietnam Consulate in Luang Prabang. Going from Dien Bien Phu to Laos: A Lao visa on arrival is available at this border. As with all border crossings in Laos, the price depends on the nationality and is paid in USD—other currency will get a terrible exchange rate or be rejected altogether, depending on the mood of the agent. Try to have the exact amount and bills in good condition, and yes, there will be little extra fees, a dollar here, a dollar there for processing, overtime and so on. Please sign up as a Travelfish member to download the Muang Khua guide PDF (1.9 MB, 14 pages). Membership costs just A$35 per year (less than A$1 per week) and gives you access to over 250 PDF guides. Last updated on 12th April, 2018. Browse our independent reviews of places to stay in and around Muang Khua. Read up on how to get to Muang Khua. Planning on riding a scooter in Muang Khua? Please read this.  Use the above map to find specific destinations in and around Muang Khua which are listed on Travelfish. Bed icons indicate a guesthouse, hostel or hotel, the knife and fork is an eatery or bar and the four-way circular thingy marks sights, attractions and other points of interest. Click on any icon for a short pop-up and a direct link to the page for that spot. If you are in the area, use the teardrop icon near the top left to show your position on the map (you'll need to allow position sharing for this last feature to work).